Subscribe to Die Zeit. 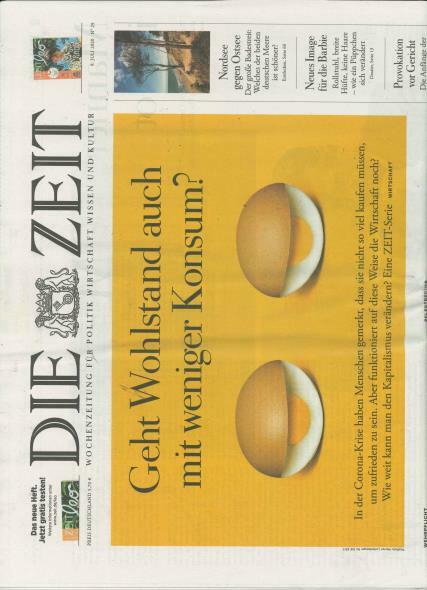 The German nationwide weekly newspaper that is highly respected for its quality journalism. Buy a single copy or subscription to Die Zeit magazine. With a circulation of 488,036 and an estimated readership of slightly above 2 million, it is the most widely read German weekly newspaper. The paper is considered to be highbrow. Its political direction is centrist to social democratic, but has oscillated a number of times between slightly left-leaning and slightly right-leaning. It is known for its very large physical paper format and its long and detailed articles.